ASP.NET 3.5 Hosting is 100-percent backwards compatible with the current version of ASP.NET and will provide a smooth migration experience when it is released. Backwards compatibility surely means that all ASP.NET 1.x and ASP.NET 2.0 code you may have will work as expected in ASP.NET 3.5. However, a simple version switch doesn't guarantee that you will make the most out of the ASP.NET 3.5 framework. Taking advantage of the new features of ASP.NET 3.5 ensures more compact code, a richer set of services and capabilities, a more effective and appealing user interface, a more elegant and easy-to-maintain application architecture, and a powerful set of administration tools. Our ASP.NET 3.5 provides the features, flexibility, and functionally to help you build better web sites. It includes the professional design, authoring, data, and publishing tools needed to create dynamic and sophisticated web sites. 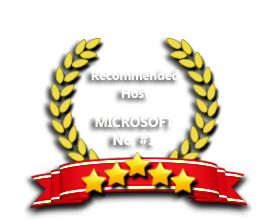 Our ASP.NET 3.5 hosting plans are compatible with Windows 2003 hosting with IIS 6 hosting and Windows 2008 hosting with IIS 7 hosting. And it also compatible with MSSQL 2005 hosting, MSSQL 2008 hosting and the latest SQL 2012 hosting. Our Windows Cloud Hosting fully supports ASP.NET 3.5 hosting. You are more than welcome to try our Free Windows Cloud Hosting before you decide to buy. You can get your Free Cloud Windows hosting account up and running within the next few minutes.